Once upon a time, there was a children’s hospital, the fairest children’s hospital in all of the land. Its name was Children’s Hospital Los Angeles, and it had BIG dreams, but a modest email list. One day, it decided that it was time for that email list to grow, and grow, and grow. At the beginning of February, when the first spring blooms were poking through the ground (or not, if you lived anywhere but California), CHLA’s online direct response team created a Valentine’s Day campaign for people to send cards — real, printed, absolutely adorable cards — to children in the hospital. Cute cards and cute kids, what more could you want? The initial results, propelled by email and social sharing, were on target to meet projections. And that was nice, but it wasn’t magical. The magic came next. 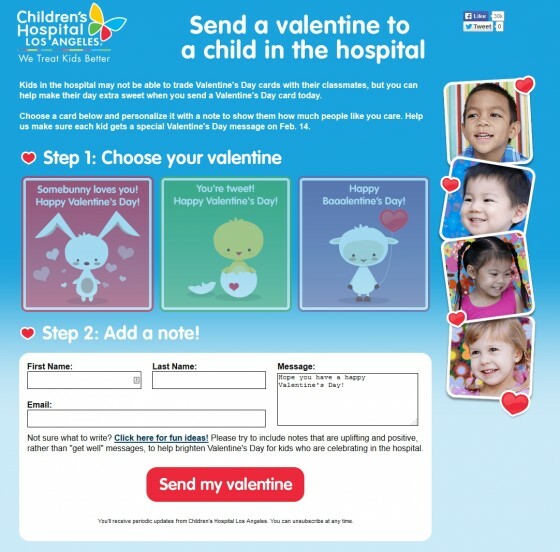 You see, CHLA didn’t limit the Valentine’s campaign to online and email promotion. The online team reached out to a few fairy godparents in the media relations team — and by the time they were done reaching out to contacts and sprinkling a bit of fairy dust on things, they’d earned some local media coverage, including a feature on local news channel ABC7. The channel ran a TV spot on February 11 — and the resulting response was explosive. 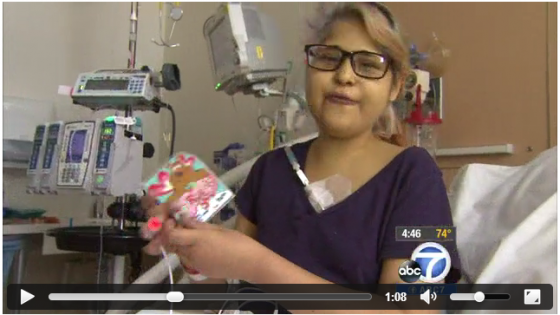 The video coverage drove unprecedented traffic to CHLA’s site, and ABC7’s Facebook post gathered more than 10,000 likes and 7,000 shares. All told, the friendly people of Los Angeles sent more than 38,000 Valentine’s Day cards with personalized messages… to a hospital that has about 350 beds. 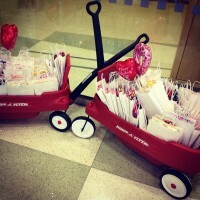 CHLA staff printed, laminated, and delivered oodles of cards in their signature little red wagons. Our hearts grew three sizes that day. By the time all the cards had been opened and the smiles filled the halls of the hospital, CHLA’s list experienced 270% growth. That’s the difference between an ordinary, run-of-the-mill-but-still-effective online campaign, and a wonderfully transformative campaign brought about by close collaboration with a media relations team and an organization-wide commitment to a top-priority project. Now, not everyone can harness the power of adorable children and silly cards, although other organizations have successfully messaged around Valentine’s Day in the past. But the success of this effort wasn’t just about the cards, or even just the kids. It was about CHLA learning something we should all remember: work together. The internet is not a far-off land cut off from the rest of your organization. Email, media, online, offline, marketing, messaging, social media and on-the-ground… wherever your people are and whatever they’re doing, it’s all part of one magical kingdom trying to make the world a better place. Bring your whole team in on your big projects, use every channel available to spread the word far and wide. And when the stars align and everything works out just right, you’ll find a way to live happily ever after.